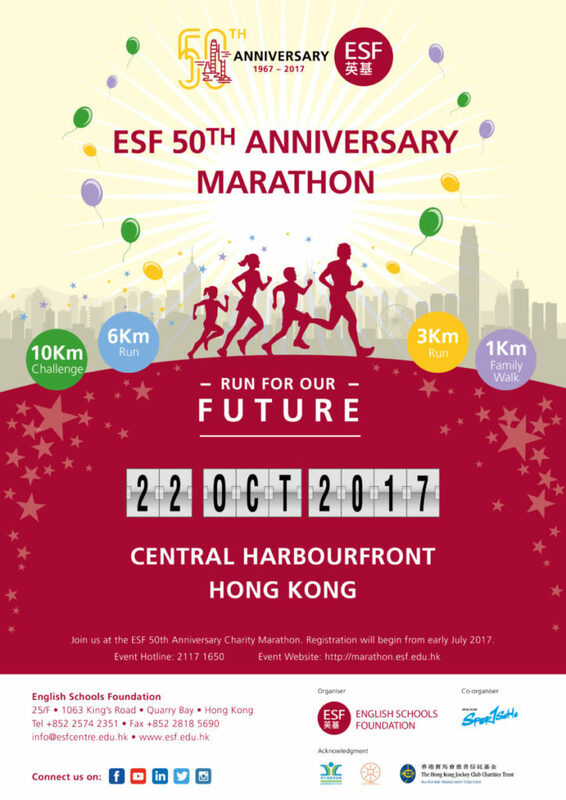 As one of the major events within the ESF 50th Anniversary celebrations, the ESF 50th Anniversary Marathon will be held on Sunday, 22 October 2017. This run will involve the whole ESF community. 3km & 10km running, and a 1km family walk are available. Register before 10 September to join our celebration! Apart from the running race, a community carnival will be held at Edinburgh Place, Central, starting from 10am that day. Performance and game booths organised by ESF schools and organisations will be available. Don’t miss it!